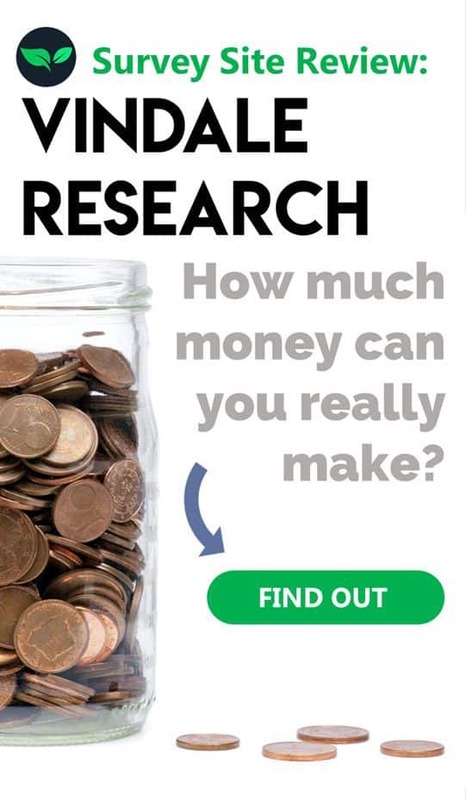 Vindale Research Review: How Much Money Can You Really Make? Vindale Research is interested in your opinion as a consumer — and they’ll pay you for it. Learn how in our full Vindale Research review. As a legitimate market research company, Vindale Research is hired by brands you probably know and already buy to gather consumer insight. They use this info to improve their products, marketing efforts, and profitability. And that, friends, is why they pay you the big survey bucks! Okay, you may not get rich doing surveys, but it’s an easy way to make some extra cash on the side. 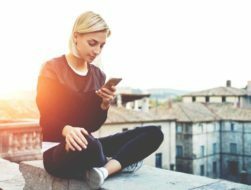 Read on to see how you can join for free in under 2 minutes, how much money you can actually make, and the major pros and cons based on our user experience. 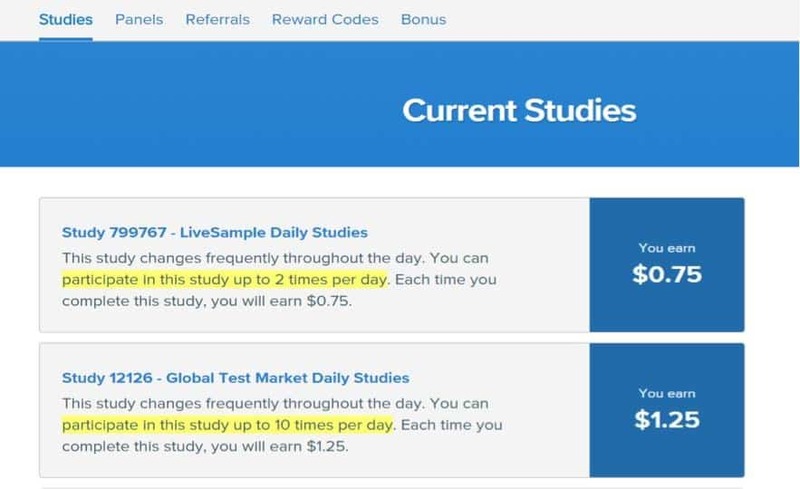 As you may know, we compare lots of different survey sites on DollarSprout since so many of our readers love making extra cash with them. After signing up and using Vindale myself, here’s the rundown of my experience — the good, the bad, and the ugly! Can I really get paid for my opinion? 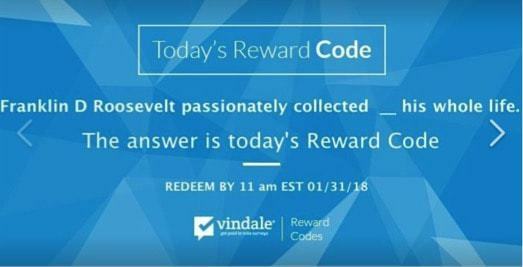 Similar to sites like Swagbucks or Survey Junkie (a couple of our favorite paid survey sites), Vindale Research is legitimate (read: not a scam) and pays you for your opinion as a consumer. In fact, collecting your opinion and putting together crazy-detailed reports about what it all means for their clients is Vindale’s specialty. Companies use the findings from Vindale by applying the “lessons learned” to improve their products and sharpen marketing focus. Companies like Coca-Cola, Johnson & Johnson, and General Electric (GE) hire firms like Vindale Research every day. By better understanding who their customers are, their preferences, needs, habits, and expectations, companies like these can easily save millions in annual marketing costs alone! It took me less than 2 minutes to join Vindale Research as a free member using my Google login. After that step, I completed my profile. During the Vindale Research login and signup they asked about things like my ZIP code, relationship status, annual household income — the usual. Once you reach the minimum cash-out limit, you can choose to receive your payment via check or PayPal. 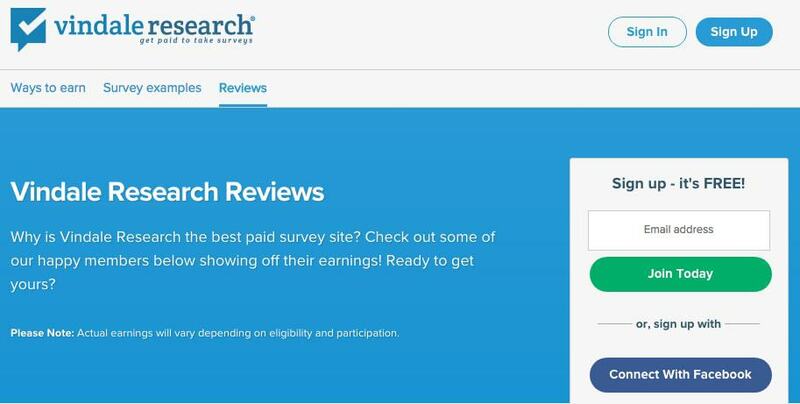 In our full Vindale Research review, we want to be sure to cover all of the ways to make money with this legitimate paid survey site. 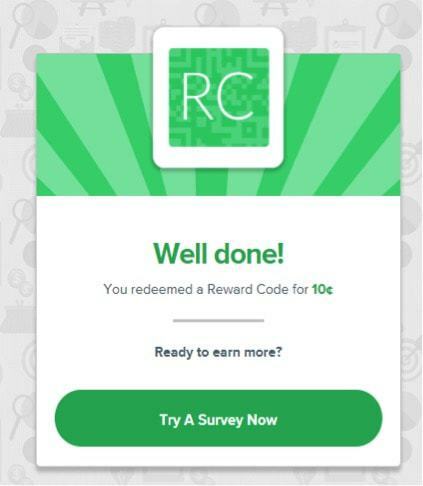 This site pays members for completing surveys, watching videos, participating in panels, and more. Let’s look at the main ways you can earn. The most popular way to earn money on Vindale Research is through surveys and panels. The majority took me between 5 and 15 minutes to complete and paid $0.50 to $2.00 each. The reward usually showed up instantly in my account, but in some cases, Vindale Research says it can take up to 5 business days to be credited to your account. Sometimes a study will expire before you can take it. Womp womp. However, one of the things I like most about Vindale Research is that they use the questions you just answered to suggest another survey — then automatically take you to it. This really cuts down on the number of clicks required to earn with surveys. Another thing I want to point out is that they have a browser extension for Google Chrome. This is awesome for getting alerts when new studies come out so you don’t miss any! Vindale Research also has a panels section, a somewhat unique feature compared to other survey sites. These differ from the surveys members can take through the site primarily in that these are third-party websites. In other words, Vindale partners with these panel hosts to provide additional value to you in the form of “additional earning opportunities.” I’d never participated in a panel before so I wasn’t so sure about it, but I took the leap to check out several of these. Several panels have sweepstakes or prize drawings and signing up is often rewarded with an entry into such contests. 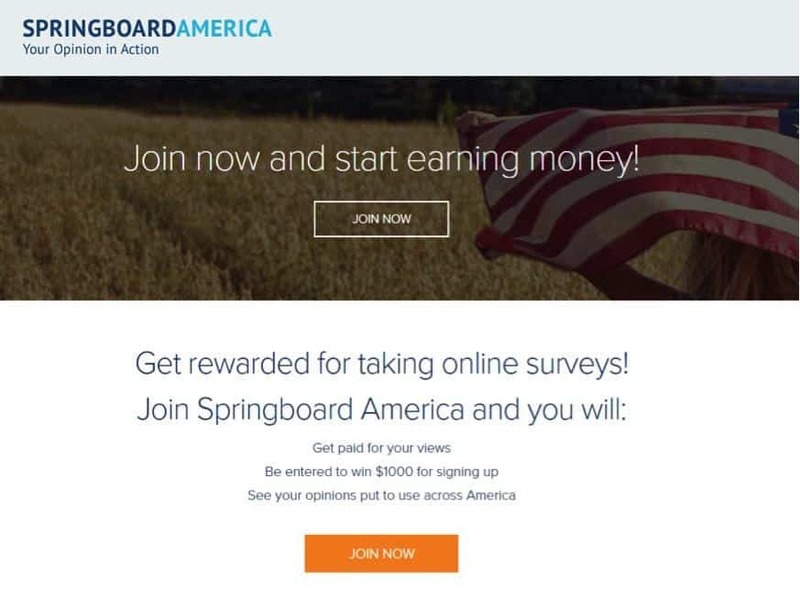 At the writing of this article, SpringBoard America has one for $1,000. → Pro tip: Be sure to add the email addresses for these panels to your address book to avoid them potentially getting caught up in your spam filter. Because panels are not administered by Vindale Research directly, their payment methods differ from one to another. Some offer points, contest entries, or gift cards. The content of the panel questions also covers a wide range, spanning from clothing preferences to Disney vacation planning. In addition to surveys and panels, Vindale Research has a few other ways to earn. They do a great job of getting members back to their website on a daily basis by making it feel like a game. One example of this is their $5.00 “payment photo” bonus. This is a really simple way to earn. When you get your first payment from them, just snap a photo and submit it with the testimonial form they provide; they’ll pay you $5.00 for it. There are lots of smiling faces on their site of folks like you who have made money taking surveys! That’s what Vindale’s videos are like. They just added this section to their site. Videos are typically short advertisements a minute or less in length and pay about $0.05 each. If you enjoy earning extra cash with Vindale Research, you can make a nice bonus by referring new members to the site. Vindale offers $5 referral bonuses based on activity after signing up using your unique link. The main thing to note here is that the people you refer have to be active in order to reap the benefit of the full $5 referral fee. Finally, the Daily Question asks something different each day and requires you to comment on the blog for an easy $0.50. They consider this an entry into a drawing, so there’s actually an opportunity to win more with your answer. This is another fun reason to log in each day: they post on the blog the next business day to announce 20 winners to the Daily Question. Vindale also encourages members to follow their social media pages, including their blog, for spontaneous opportunities to earn outside their typical surveys, panels, and ongoing giveaways. Anything you do online to score cash can have trade-offs. I put together my thoughts on the take-home points after testing out Vindale Research to help you decide if it’s right for you! For new users, the layout and design of Vindale’s website may be a turnoff. I have to say, I’m not a huge fan of it myself. 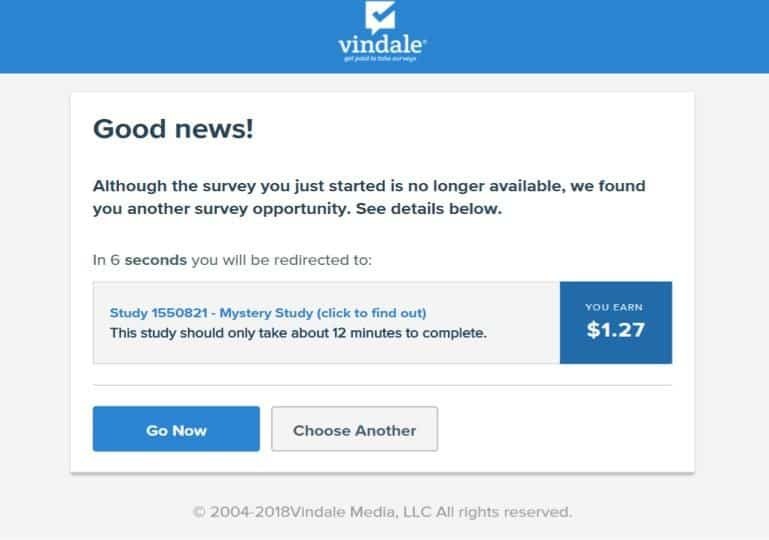 However, even though the site is somewhat visually unappealing (at least in my opinion), Vindale Research is still a legitimate paid survey site that pays real cash to its members. Another issue I came across, and one I’ve seen in several user reviews, is that on more than one occasion I spent a lot of time answering pre-qualifying questions only to be told I didn’t qualify for the survey. In some cases, this resulted in as much as 10 minutes of my time wasted. Just to be clear, though, that’s a common thing I’ve noticed with several survey sites, which is why you have to be extra diligent with your time in order to maximize your earnings. Fortunately, Vindale Research has plenty of opportunities to earn on top of taking surveys. Vindale Research has an interesting array of ways to earn cash. I am not ashamed to admit I really like the reward code challenges because I’m basically being paid to learn a fun fact for cocktail parties (and hey, that random knowledge might come in handy at my local watering hole’s trivia night). 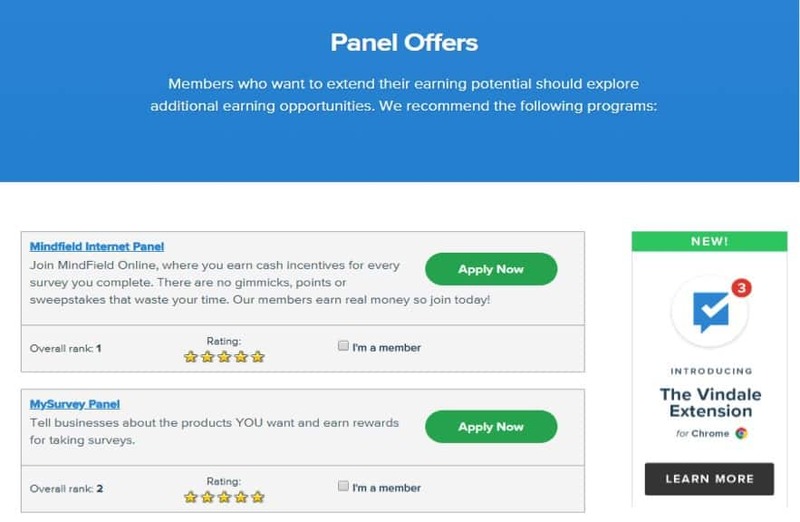 Between surveys, panels, bonus sweepstakes, and pop-up earning opportunities, there’s a way for everyone to earn money with this survey site. It doesn’t promise to make you rich, but it’s a fun and easy way to make some extra cash on the side. Thank you for sharing this information. Could you please explain what you mean by the minimum is $50.00 cash out limit? Does this mean the less I could make is $50.00 a day, week or within a certain time frame? 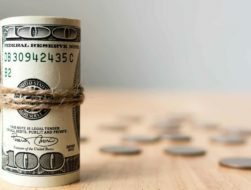 How much money are you allowed to make a day, week or month? Valerie, I think cash out limit means the minimum amount you should have for you to be able to withdraw. Meaning if you have $48, you cannot withdraw it.